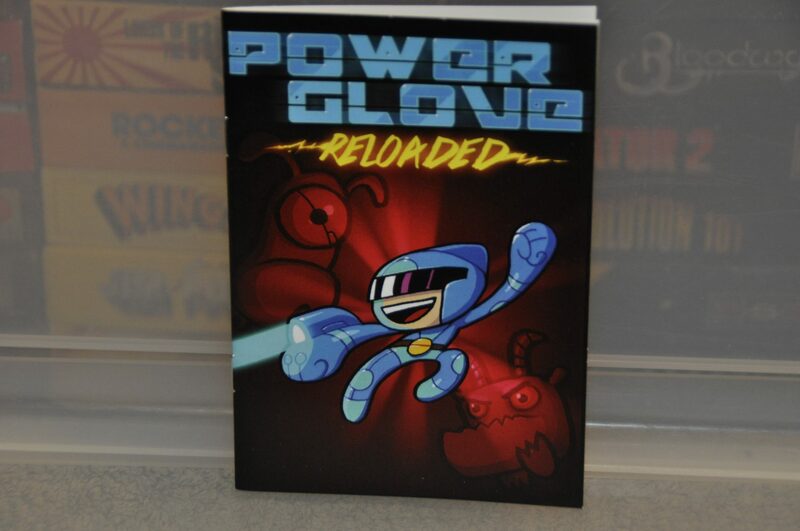 PowerGlove Reloaded got released right before Christmas in digital form and a pre-order for a physical big box collector item thing was to come out in January 2019. Just two weeks into the new year and yup, the physical edition arrived in my postbox. The box the game comes in is not the standard one i expected to see, it is a clamshell retro-styled plastic box and it feels and looks really good. 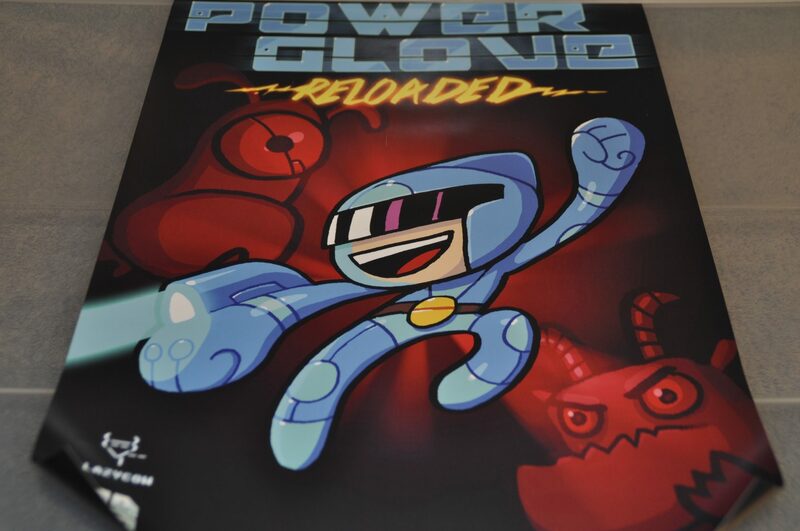 The front of the box is incredible, flashy logo and colours and it is bound to be mentioned a bit in the future due to its colours and how the protagonist looks like MegaMan’s brother or something. 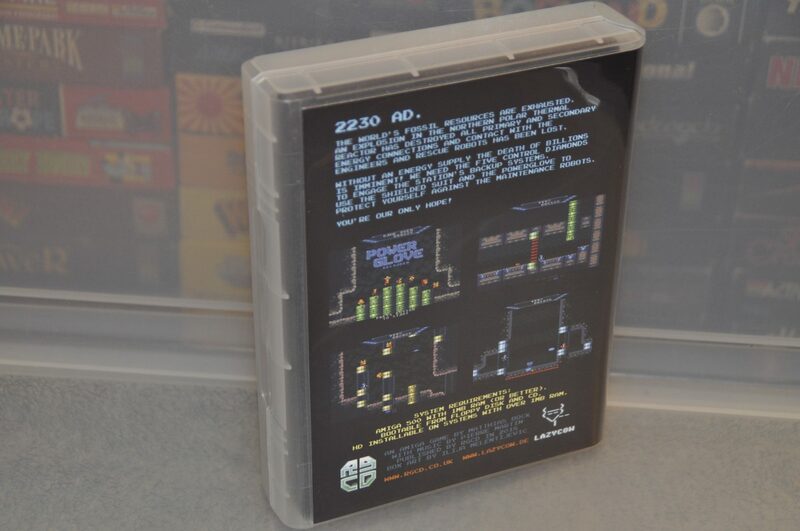 The publisher RGCD and the developer Lazycow has shown great skill in designing the box here, a really nice looking piece which screams top quality. As you can see from this picture is that the box can easily be mistaken for a DVD or whatever cover but no, this is smaller and wider but the spine is very big and this is how they managed to cram all the wonderful stuff (that you will see throughout this very blog post) inside the box. 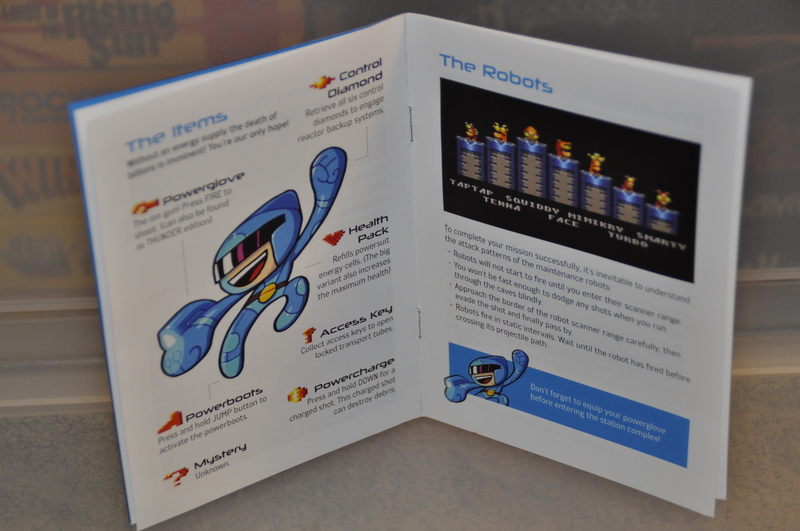 A really good manual is included too, many pages with great colours and top-notch quality. Not sure if they even produced manuals of this quality back in the day even. 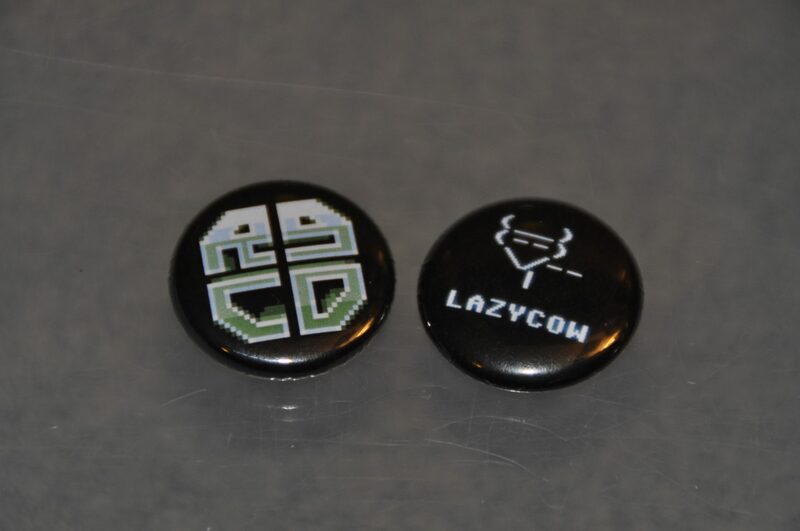 buttons or rather pins, two of them and while they might not be stunning looking i still like them and i won’t forget the name Lazycow for a while now. 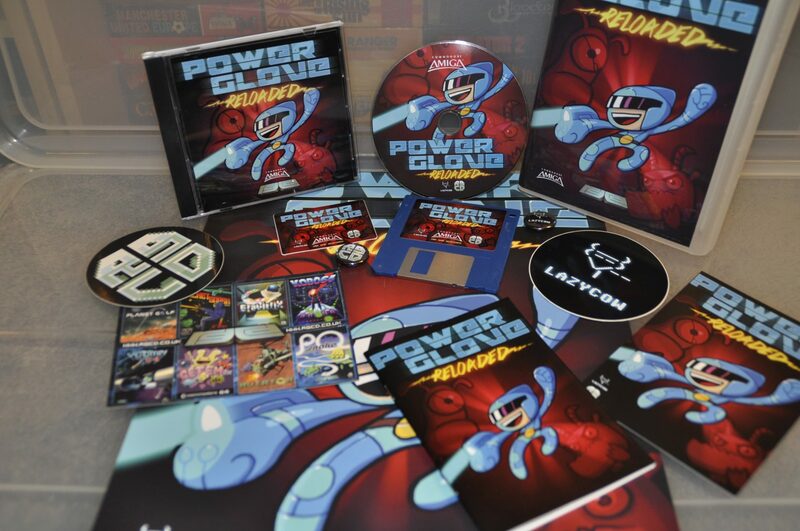 The floppy and CD versions look amazing. The jewel case for the CD looks fantastic until you look at the backside of it, only text to be found there sadly, but hey, it is ok as everything is laid out nice and perfect and yes this is just a bonus item anyway. 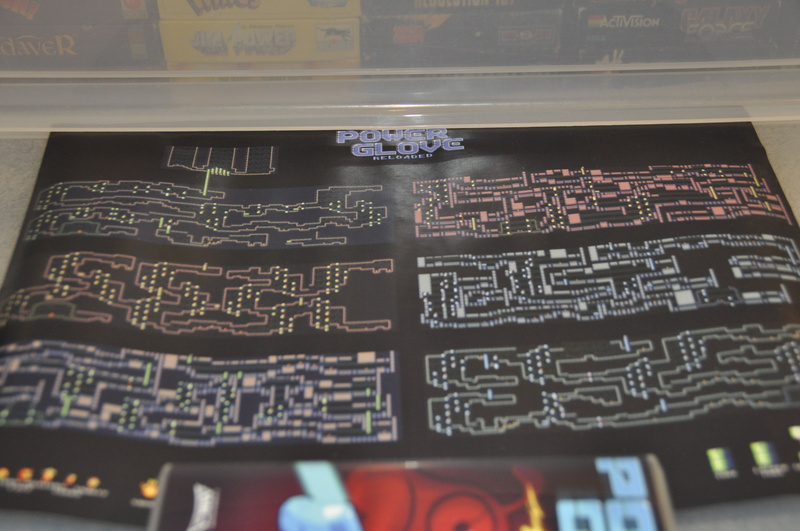 The backside of the poster shows all the 6 level maps in the game, a cool idea and one that many will like for sure although i will frame the front side and put it on the wall here. Here is all the stuff that came in the box, a brilliant package and best of all is that it’s cheap too, £15 GBP is the asking price which means this is more or less a steal. Make sure to go and order it right away so you won’t miss out. What about the game then? 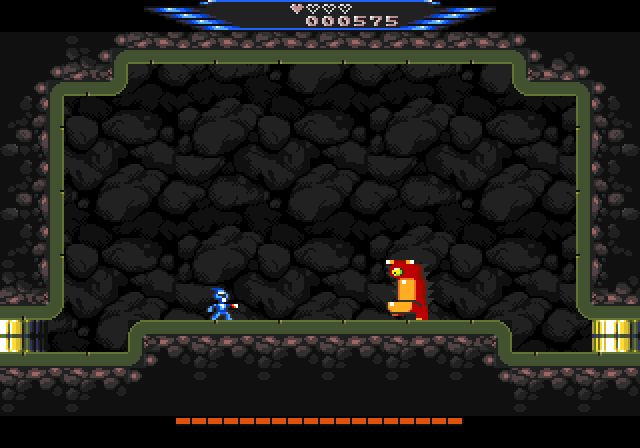 Well, the game is actually a remake of an C64 game that came some years ago , the game got a few enhancements and changes from the original with stuff like more levels, boss battles and enhanced graphics and sound.it is a bit like Mega Man and a bit like Metroid and a whole lot of fun. 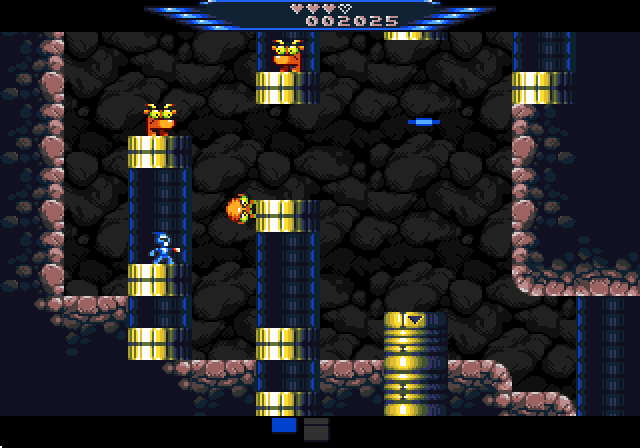 The game is even playable in a classic mode which turns it into the old version graphically with the original levels. 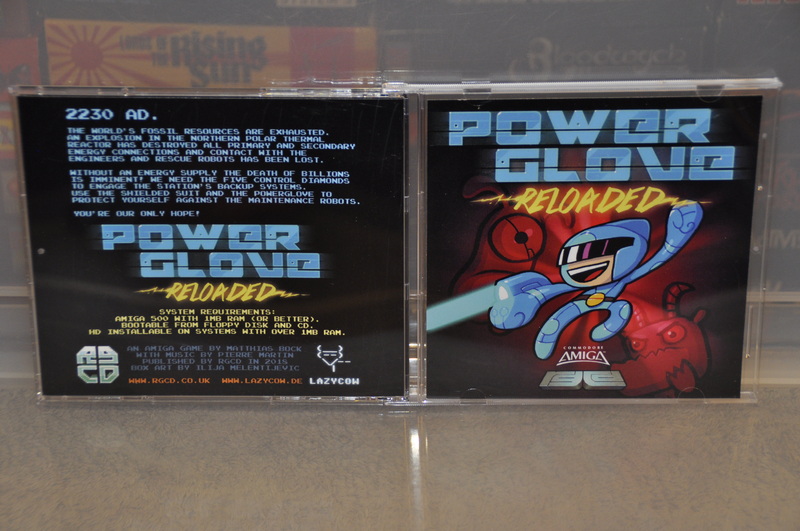 The music in PowerGlove Reloaded is just brilliant and its one of those soundtracks one could listen to all day long. 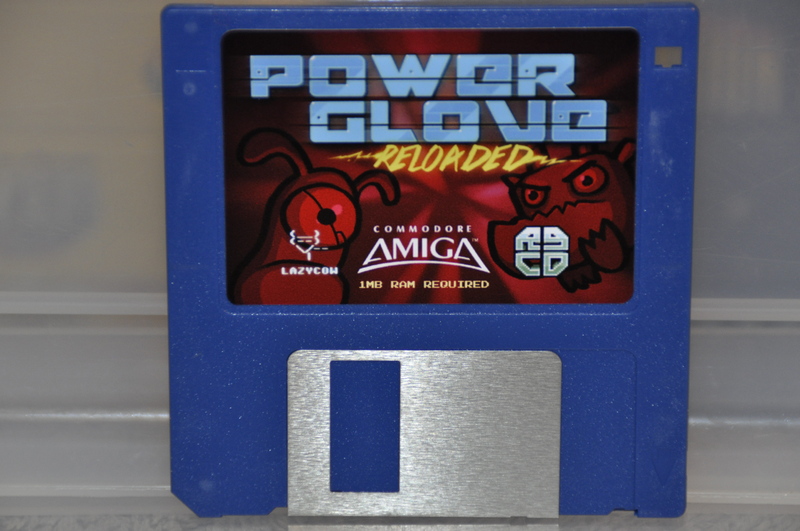 Technically the game plays and performs good, it works on ALL Amiga’s with 1MB Ram or more, there are parallax scrolling, silky smooth scrolling and screen flips, huge game maps and you unlock various things on the way to make it easier for you to make your journey more fun. A very neat feature is the online leaderboard list! all you need is an online connection while playing for it to sync the list. 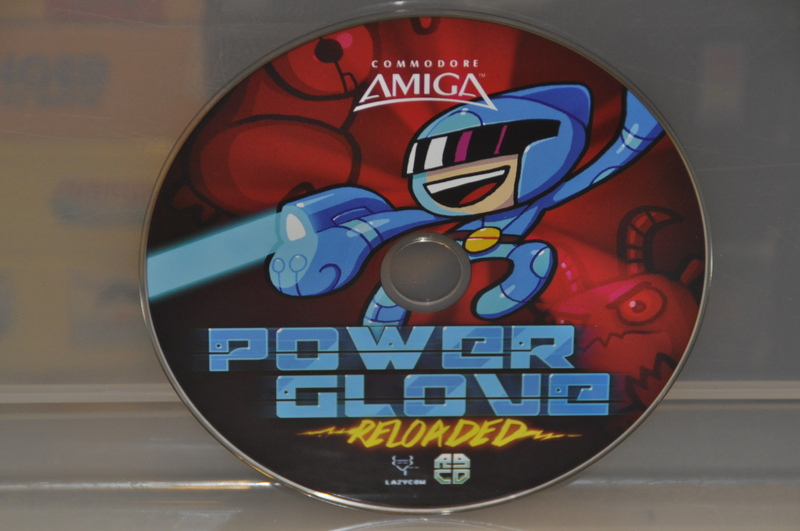 Not sure if you want to spend £15 GBP on an Amiga game right now?, well then try the digital download version then, it’s only £2.99 GBP and for that price, you will get all the versions. 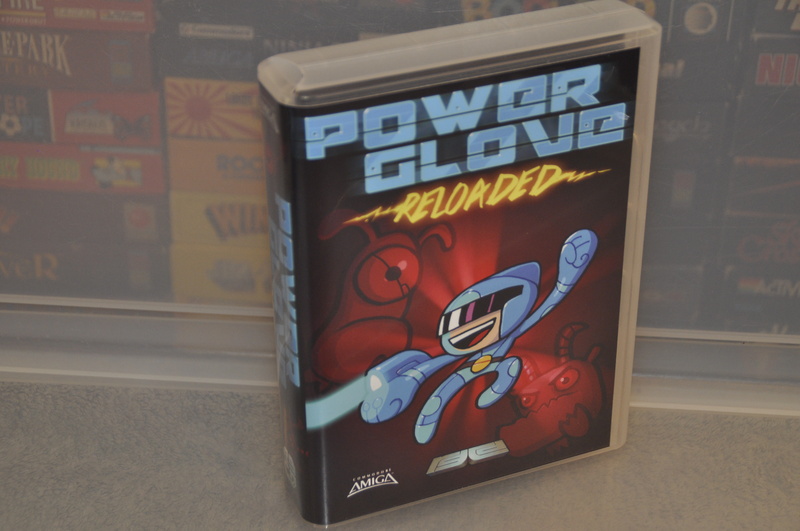 PowerGlove Reloaded should be in everyone’s collection, either download version or the physical one, it plays great and it is fun to play and one can only think what these guys can pull off with a full blown AAA release for the Amiga. GO GET IT NOW! Instant buy, right? 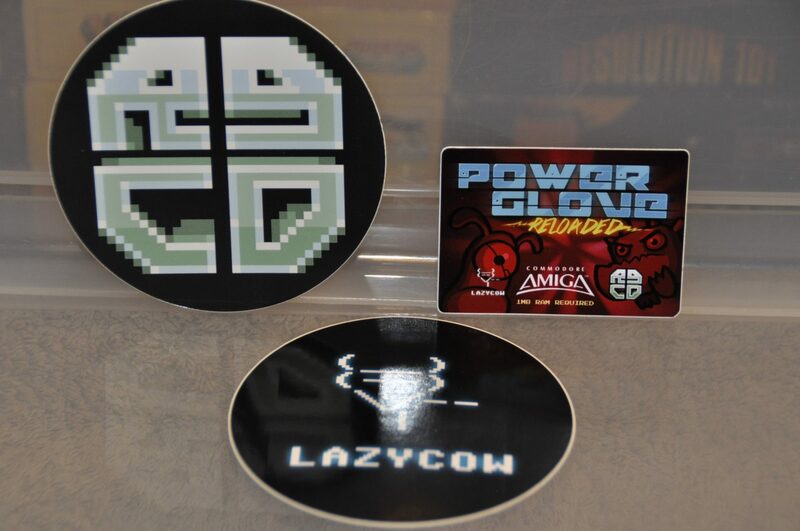 Long live the Amiga. Trailer for the game below, enjoy. I know this probably sounds a log like bad language on here but i played this last year on PC. Its just the thing i seem to be into at the moment. Retro old school. I enjoyed it a lot. 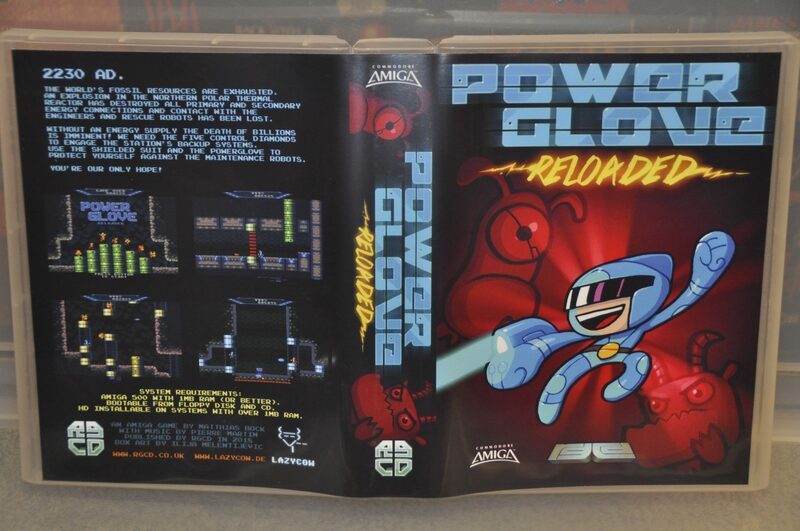 Still its real nicce seeing stuff come out on the amiga still. Its what the blitter was invented for right. 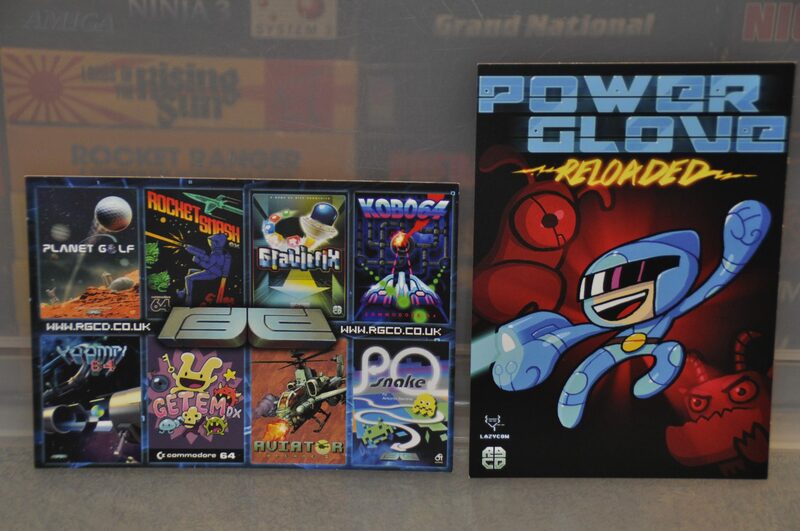 Yeah the Amiga release came at the same time as the PC/Linux and Mac release, but this article is mostly about the actual Amiga collector box which came out this week :).